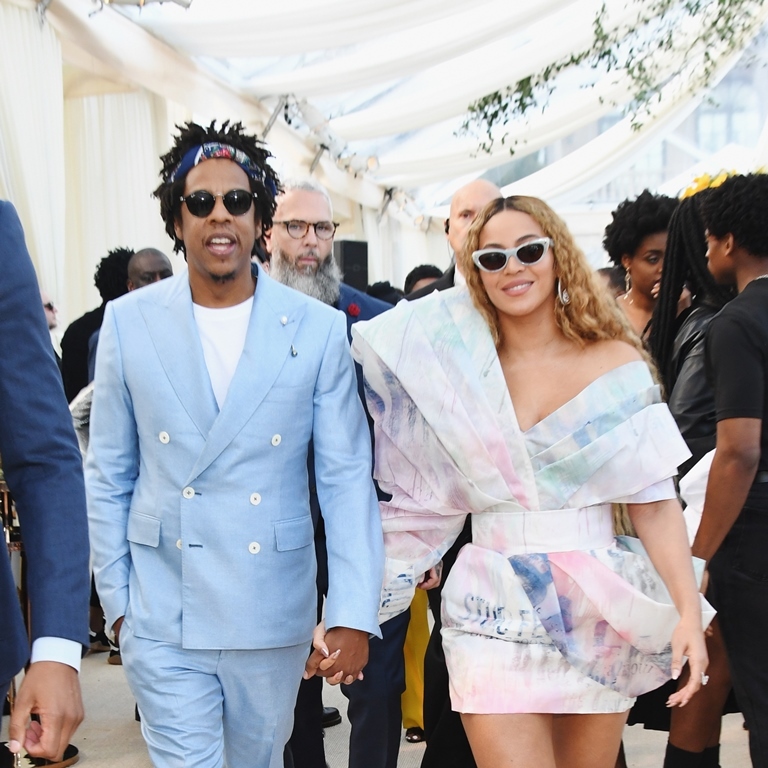 As mentioned a couple of weeks ago, Roc Nation’s annual Grammys brunch has become one of the most well-attended events on Grammys weekend, perhaps THE most well-attended event, especially this year since the Grammys seemed lighter on megastar power than in years past. The brunch serves multiple purposes. First, it establishes Roc Nation’s influence in the music business. But also, that very influence is itself a statement about the music business and a vision for what the music business can be – where the talent can also be the owner, especially as it relates to black talent and black ownership. The Carters are doing the same in Hollywood. Last year they hosted their first Oscar party and of course it was immediately the best Oscar party, the party everyone wanted to go to, more than any other party, even Vanity Fair. The “Gold Party” was held in the Chateau Marmont parking lot and it was arguably better attended than the Oscars themselves when you consider that so many of the nominees and presenters were there and also major players who weren’t involved at all with the Oscars. This is usually how the Vanity Fair party claim. Now that the Gold Party is a thing though, the VF party, while still important, according to THR, has become slightly less special than the one with Jay-Z and (mostly) Beyoncé. Because the guest list is even tighter. Because there’s no red carpet. Because they’ve deliberately made it feel like it’s a party just for insiders and not for promotion, which is getting them all kinds of promotion in the process. And that is how the Carters have strategically accumulated more power in the film business, power that they’re then using to support black film projects. Black Panther and BlackkKlansman will for sure be well represented and celebrated at the Gold Party, just like Mary J Blige was celebrated last year for her two Oscar nominations. And this is no small thing, even though it’s “just” a party. This is a high school town – popularity is currency, and the Carters’ Gold Party is a signal to the industry about where people want to be and who they want to be with which, obviously, is a determination of value. Everyone is trying to get on the Gold Party list right now. And those that won’t be able to get in are going to work towards that as a goal. This is how the Hollywood hierarchy is shifting – exactly what Beyoncé and Jay-Z are aiming for.